This see saw works great to clean your bowling ball after leagues, tournaments, and normal bowling. Simply spray your favorite cleaner on the ball and See Saw the dirt and oil right off. By Eddie. from Highland California. YES...I would buy the product again !! 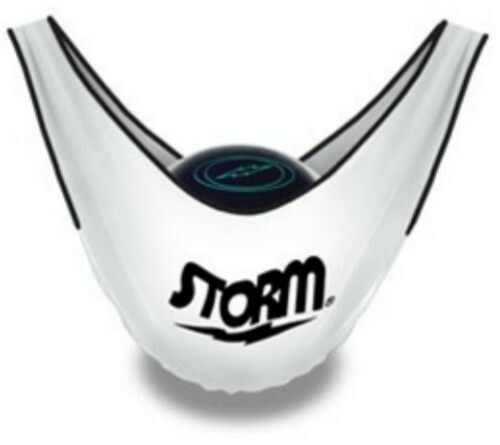 I Own several STORM Products. Always proud to use them. Best quality and Best Results. I have Four STORM Bowling Balls I use for Different Lane Conditions as they arouse.Love Storm Products. Awesome product. Absorbs all oil off my ball and is great for storing in my bag. This SEE SAW has the bet liner out of the other dozen brand I own. It's suede like liner takes less effort to get you ball back in to top condition. I bowl at one house where the belts just blacken my equipment. I use the STORM SEE SAW every three shots and I have to use half as much cleaner then if I didn't use it, and no more elbow grease to get...example my Storm Reign, Red again. I am 205+ avg. And am OCD when it comes to my equipment care! It's great of the clean bowling ball. Is the see saw washable and machine dryable? Yes, this material is made out of 100% cotton. Unfortunately, we can only ship to physical addresses. How do you use the product? Do I use cleaners with this? Simply spray your favorite cleaner on the ball and See Saw the dirt and oil right off. Due to the time it takes to produce the Storm See-Saw ball it will ship in immediately. We cannot ship this ball outside the United States.